One of the benefits of being a St. Andrew's-Sewanee School student is the ability to take classes at the University of the South, with no additional tuition charge. This vital relationship allows qualified SAS students to take college courses for credit. This semester, 11 SAS students are taking 12 courses at the University of the South including Intermediate Latin, Urban Economics, Introduction to Economics, Calculus II, Legislative Processes, Elementary Arabic, French, and Russian. "The benefits of taking college coursework at Sewanee go far beyond the fact that students earn actual college credits--without having to take another standardized test," said Christine Asmussen, SAS director of college counseling. "As part of an actual college class, students are exposed to a different level of inquiry and discussion than they might find in high school, even in a group of highly talented peers. They learn about working together with people they don't know. They learn to approach a professor for help or advice. They learn that their thoughts and opinions carry weight and that college will not be scary. It breaks the ice for them in so many important ways. And, they have the opportunity to pursue their own individual interests and goals." "Having actual college credit from a university such as Sewanee makes it clear the SAS student can be successful in a rigorous college setting," said Asmussen. "Taking French at Sewanee has given me the opportunity to learn an additional language," said SAS junior Sam Smith who has already completed four years of Chinese instruction at SAS. "Equally as important, I now know what to expect as I head towards college in the next few years, as well as what to look for when choosing the university I will attend. This experience has given me a greater appreciation for the amazing educational opportunities SAS is able to offer." 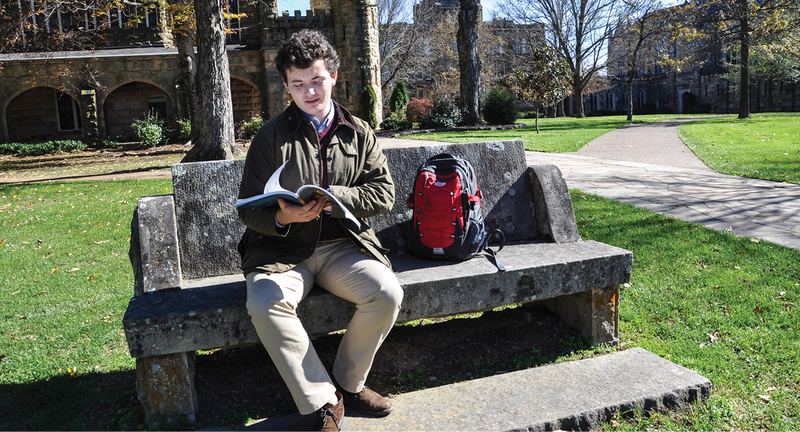 SAS senior Garner Nottingham has taken courses in economics and politics at Sewanee. "Being able to take classes at the University has allowed me to expand the breadth of my education and has provided a transition to college during the second half of my high school career," he said. Enrollment in a University class is not guaranteed and is dependent upon space availability and compatibility with the student's SAS schedule. SAS seniors wanting to take University classes must have an excellent attendance record, a minimum average of 85, and an 87 average both for the previous semester and in the specific subject area. Juniors wanting to take University classes must have an excellent attendance record, a current minimum average of 90, and a 90 average both for the previous semester and in the specific subject area. "We are so grateful for the opportunity our students have to take courses at The University of the South," said Kelley Black, SAS director of studies. "This valuable relationship allows our students to pursue their intellectual interests more deeply and to challenge themselves beyond the high school classroom. Our students gain first-hand experience with the rigor and expectations of college coursework, preparing them to be more successful when they do begin their college career."